The job will put her in charge of all things related to the Endangered Species Act. Unfortunately, Susan Combs has a very successful track record of undermining protections put in place to preserve endangered wildlife in favor of industry and development. Combs is a former Texas state comptroller, agriculture commissioner, and state representative who has encouraged voluntary and local conservation efforts, as opposed to statutory mandates, to protect species, perhaps because they have little if any force. Combs then aimed at the golden-cheeked warbler, which has been listed as endangered since 1990. The bird winters in Mexico and Central America and nests in summer in 33 central Texas counties where it depends on Ashe juniper for nesting material. The National Audubon Society recently cited an estimate that 1.5 million acres of the warbler’s Texas habitat had disappeared between 1999 and 2011, and that the bird’s population had dropped by a quarter. 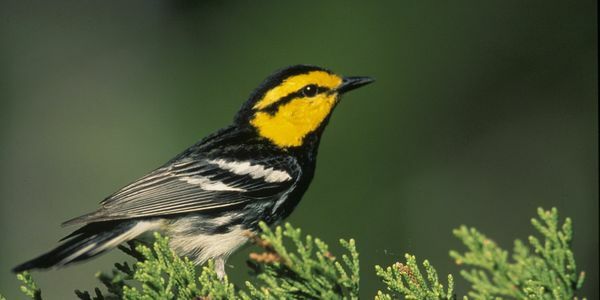 In 2015, the Texas Public Policy Foundation, a “free enterprise” group in Austin, filed a petition with the wildlife service to have the warbler delisted—the petition Combs signed. It claimed there were 19 times the number of extant warblers than were counted when the species was first listed. The service reviewed the petition and rejected it. Then in early June of this year, the foundation sued the Fish and Wildlife Service to delist the warbler. Please sign and share this petition and save our wildlife from those who deliberately seek to harm and destroy it. ***Urgent please share and reshare*** The Endangered Species Act is now in immediate peril! Please share this Petition urging the Senate to vote NO on Susan Combs. The vote is fast approaching the Senate will be rushing to have the hearing early September! Combs has a very disastrous track record of successfully undermining protections that preserve endangered wildlife in favor of industry and development and this appointment give her power to eliminate or severely weaken the critical ESA.